The Major League Baseball offseason was filled with surprising moves and bad contracts. Here is a list of the worst offseason moves from the 2013-2014 offseason. This might be the worst contract given to a player that was a free agent in the 2013-2014 offseason. Hitting only .176, Curtis Granderson does not look like the power hitter he was with the New York Yankees.His poor production is worrisome. He has only 3 homeruns, 14 RBIs to go with an OBP of .283. 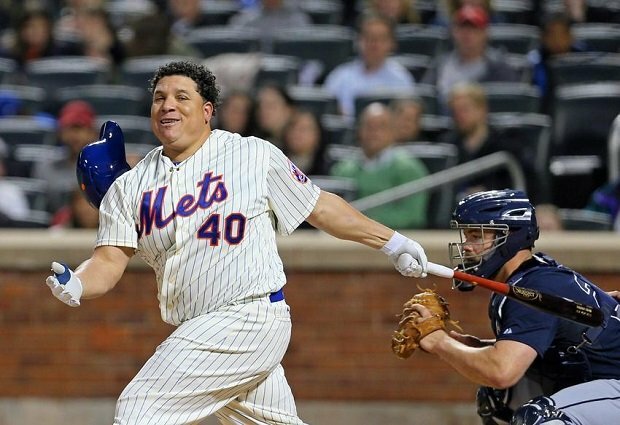 He does not look a hitter that should be protecting David Wright. And the best news for Mets’ fans is that he has only 4 more years left on his contract. Jimenez has struggling early on with his new team. With a WHIP of 1.58, Jimenez is having difficulty with his control. Jimenez, who did not find a team till February was considered a huge risk for any team that signed him. Well it looks like the Baltimore Orioles’ risk is not paying off. Giving up the seventeenth pick in the draft looks like a big question mark now. Giving a pitcher at the age of 40 a 2 year, $20 million dollar contract with a steroid suspension in 2012 marks a lot of questions. Colon did bounce back with a 2.65 ERA in 2013, but at his age, a pitcher can lose it at any moment. He is currently pitching with a 2-5 record and a 5.35 ERA.Colon, who has been largely inconsistent this year, seems to be a problem for the Mets and he looks like he’ll be another poor signing by the Mets. Desperate for a catcher, the New York Yankees sought out the best catcher available. Although he’s declined in the past few years, the Yankees thought he can hit 30 homeruns in the new Yankee Stadium. Currently hitting .212 with 4 homeruns, McCann has been struggling mainly because of the shift. Maybe the silliest contract ever given to a player, Robinson Cano has not been playing up to his 240 million dollar price tag. Hitting .288 with 1 homerun, Cano looks like he misses the protection he received when he played for the Yankees and of course the right field porch in Yankee Stadium.